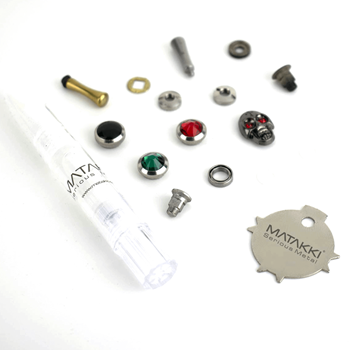 The Matakki Arrow professional left handed hair cutting thinning blending scissor is hand crafted using Japanese 440C stainless steel, this ensures longevity and a convex cutting edge that is smooth and remains sharper for longer. Professional left handed thinning scissor hand crafted from Japanese 440C steel and finished with a protective matt black teflon coating. Smooth, light weight and perfectly balanced. The Reaper left hand thinning scissors are a professional tool designed for all round thinning, blending and finishing. Constructed from premium Japanese Hitachi 440C steel with a Rockwell Hardness of 62 enables our technicians to create a super sharp convex cutting edge. The Toshin lefty professional left handed hair cutting scissor, a powerful beast with slightly wider blades than usual to make light work of cutting hair. Perfectly balanced and super smooth.